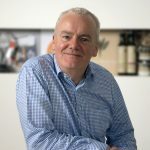 Founder and creative director of Boyle Design Group – one of Ireland’s leading graphic design consultancies. Since our establishment in 1985 we have been transforming business strategies into strong and objective focused communications. Boyle Design Group provides complete design solutions to a range of high profile clients in the corporate, cultural and public sectors. Our expertise includes the creation, execution and management of corporate identity, branding, multimedia, web, packaging and exhibition design projects. We nurture long term relationships with our clients. This relationship is built by consistently delivering excellence in design whilst remaining responsive to our clients goals. Our project process ensures we deliver on time and within budget, while our creativity and attention to detail ensures the success of each project. Boyle Design Group is based in it’s own studio at Kilmainham, Dublin 8. We are a team of creative director and project director, three senior designers, administrator and financial controller.